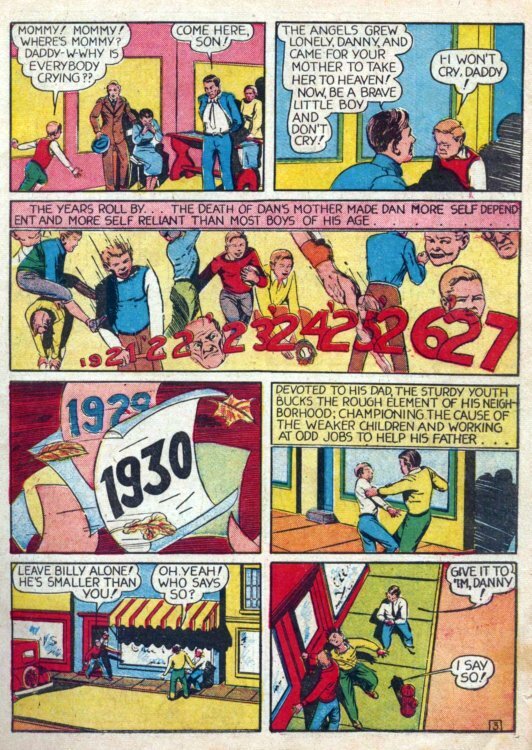 ...and, finally, the story (at least some of it) behind his first appearance! 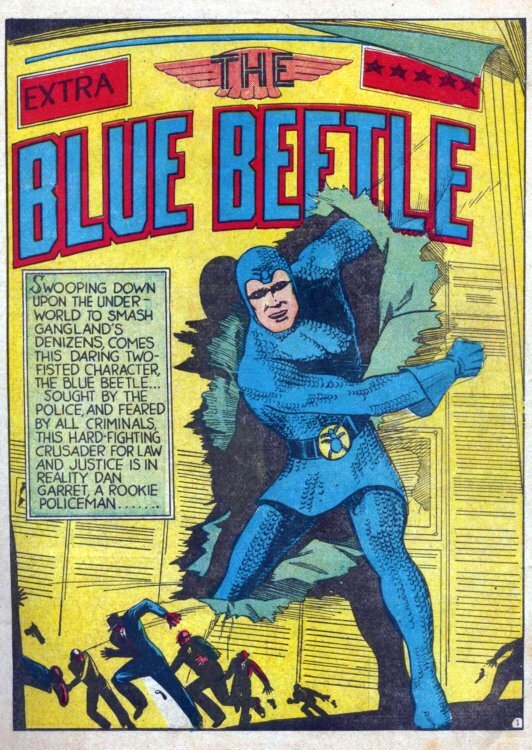 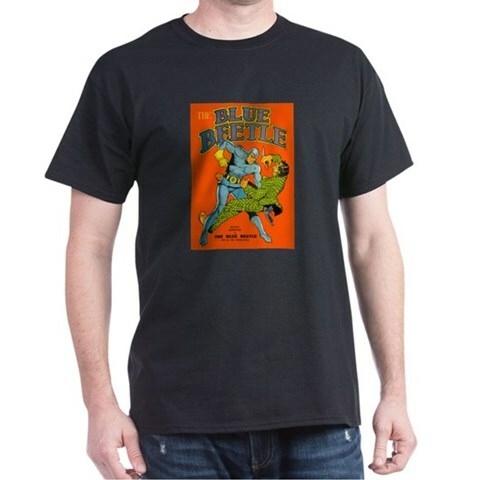 How does this event cause the birth of the Blue Beetle? 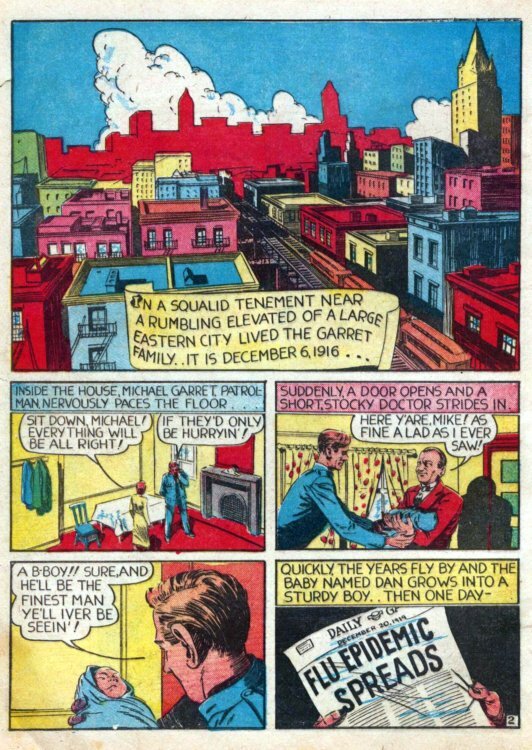 You'll note we don't call this untitled story an origin. 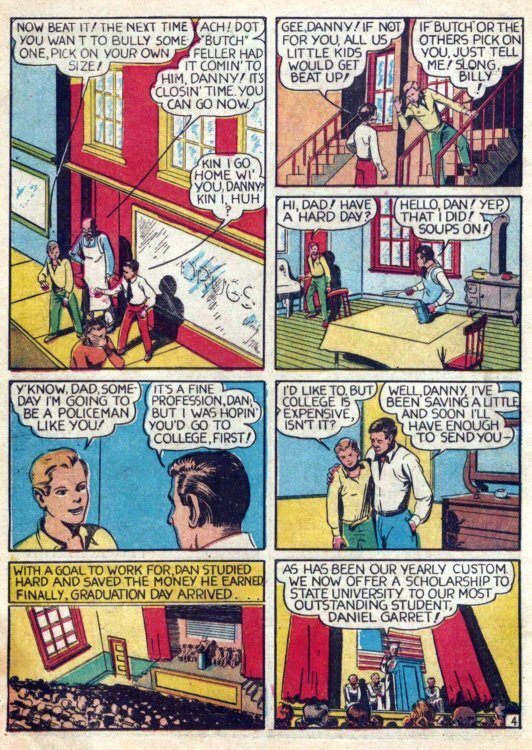 That's because, you learn some aspects of how Dan Garret became the Blue Beetle, but you won't learn all of them (including the most important one)! 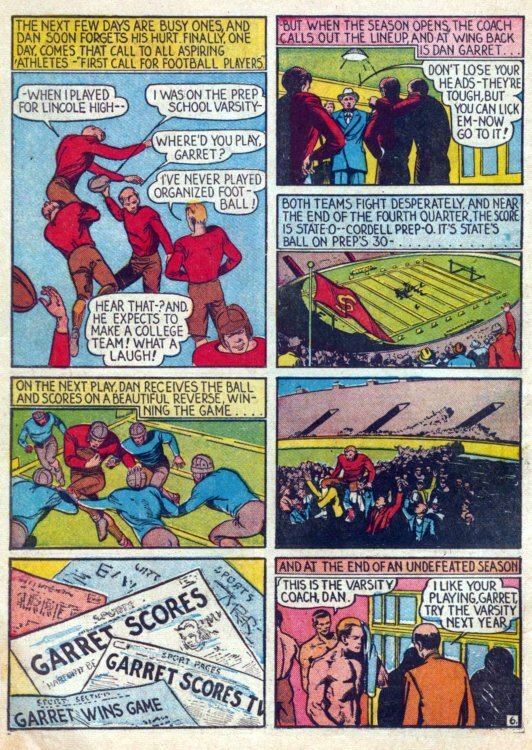 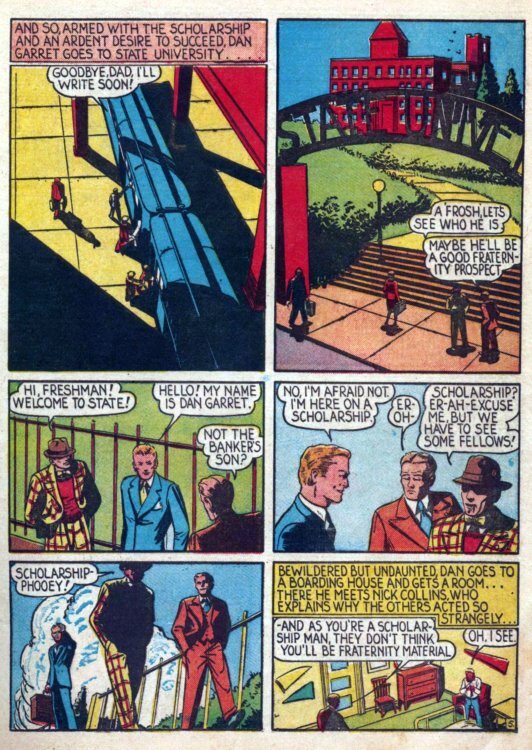 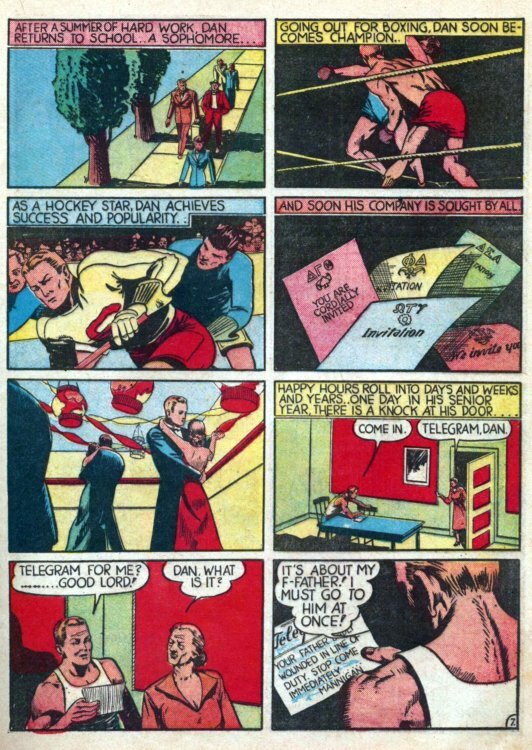 This tale from Fox's Blue Beetle #1 (1939) was written and laid-out by Will Eisner (yes, that Will Eisner) and illustrated by Charles Nicholas Wojtkoski, who later used the name "Charles Nicholas" for his comic work until he retired.